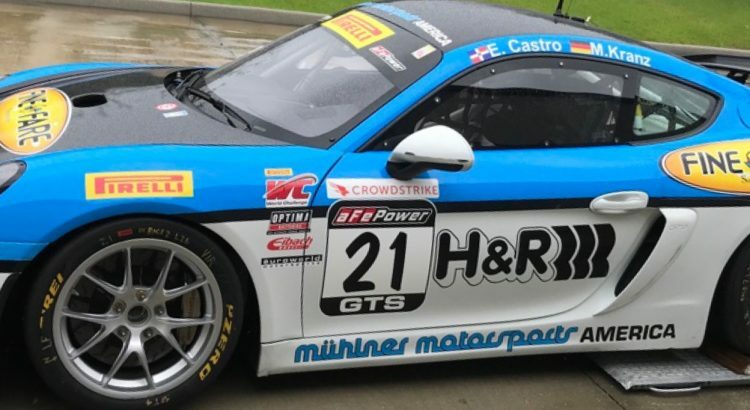 Moritz Kranz and Efrin Castro had a very succesful weekend at Lime Rock Park with two podium finishes in the Pirelli World Challenge GTS races. 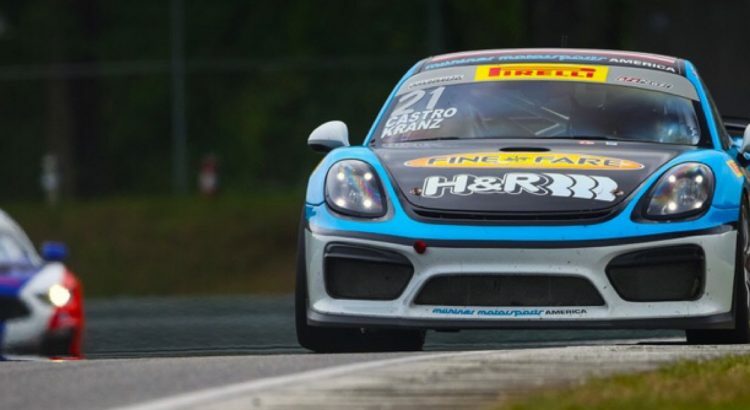 The H&R Springs supported Cayman GT4 MR #21 finished 3rd in class in race 1 and 2nd in race 2. 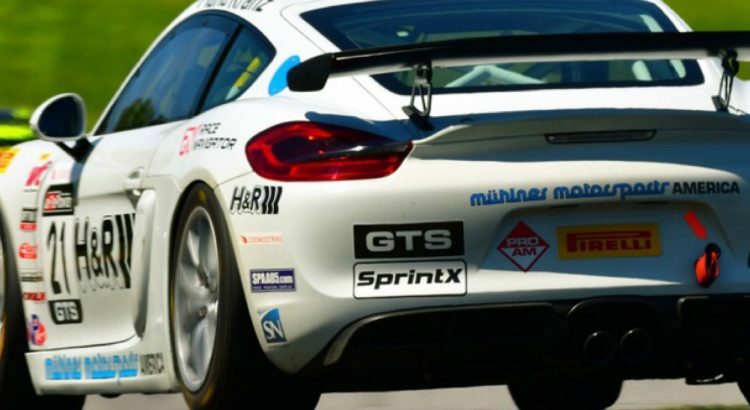 The DeLand / Florida based Muehlner Motorsports America Team competes from now onwards with the same livery as used also in Europe. 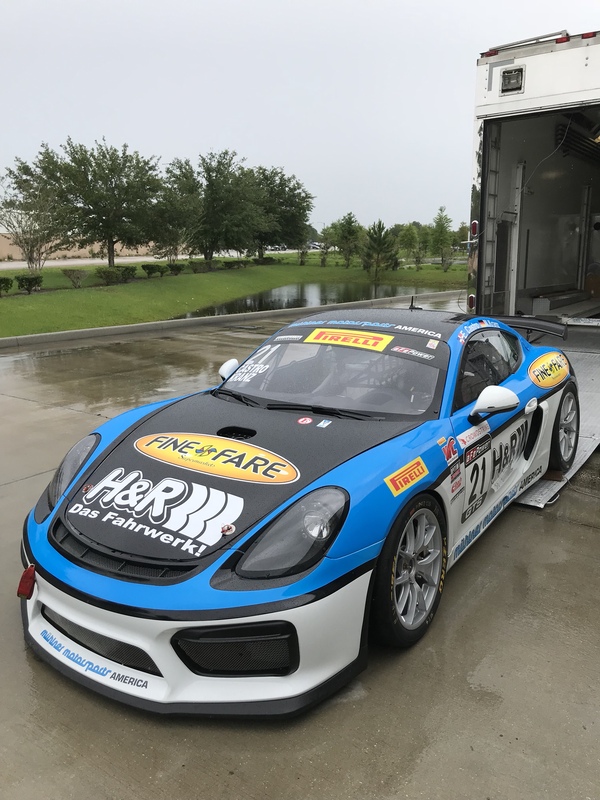 The H&R supported Cayman GT4 MR #21 will participate this week in the next round of Pirelli World Challenge at Lime Rock Park. Drivers will be Efrin Castro and Muehlners regular driver Moritz Kranz. The two races will be on Monday, May 28th (Memorial Day).